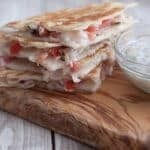 Simple Mediterranean Quesadillas are a delicious twist on traditional quesadillas and a great go-to option for an easy lunch or dinner. 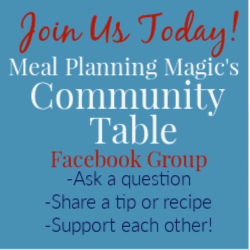 You can even prep ahead the filling to make them even easier come meal time! 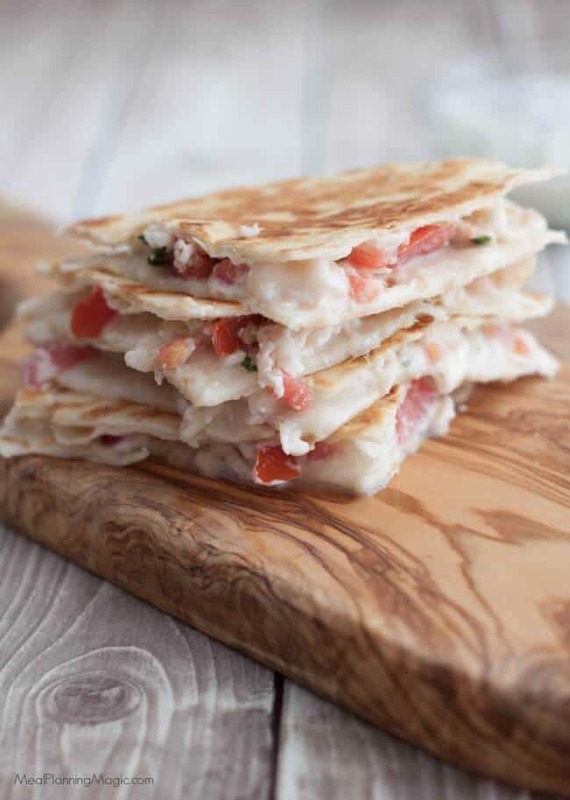 Click here to PIN this Simple Mediterranean Quesadillas recipe to Pinterest. Quesadillas are one of our go to meals for something quick and easy. I especially like them when for easy lunches or simple dinners when paired with a salad or a soup. 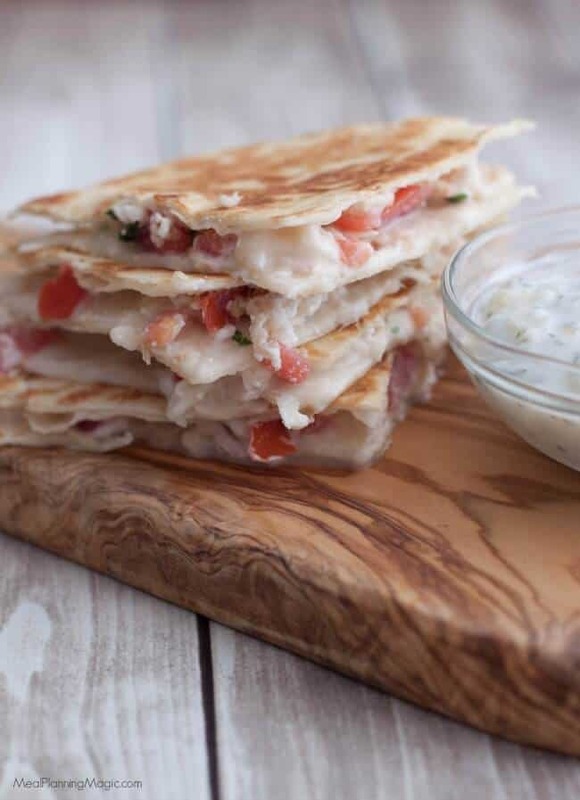 These Mediterranean Quesadillas are a great twist on the simpler ones we often make. Usually we stick the a basic quesadilla of cheese and maybe cooked chicken like leftover rotisserie chicken or grilled fajita chicken. I’ve experimented before with some different quesadillas like the Easy Grilled Mango Poblano Quesadillas or Quick and Easy Pizza Quesadillas I’ve shared here before. Since those were such a big hit in my house, I couldn’t wait to try the Mediterranean Quesadillas I found in one of those old church cookbooks I had received as a gift years ago. I like to discover new recipes in those cookbooks because you know they are family favorites so they’re likely to be good! This one was a winner too! I changed up the ingredients just a bit to use fresh garlic and the fresh tomatoes. These are so simple to grill up (or saute I suppose) in on the stove. You can have these made is under 15 minutes! Even my teenagers are able to help make these quesadillas. Another great thing about these Mediterranean Quesadillas is that you can make up the “filling” mixture ahead of time so that you only need to assemble and cook when you’re ready to serve them. Bonus for saving time in the kitchen, right? My family loved these quesadillas and I loved how easy they were. 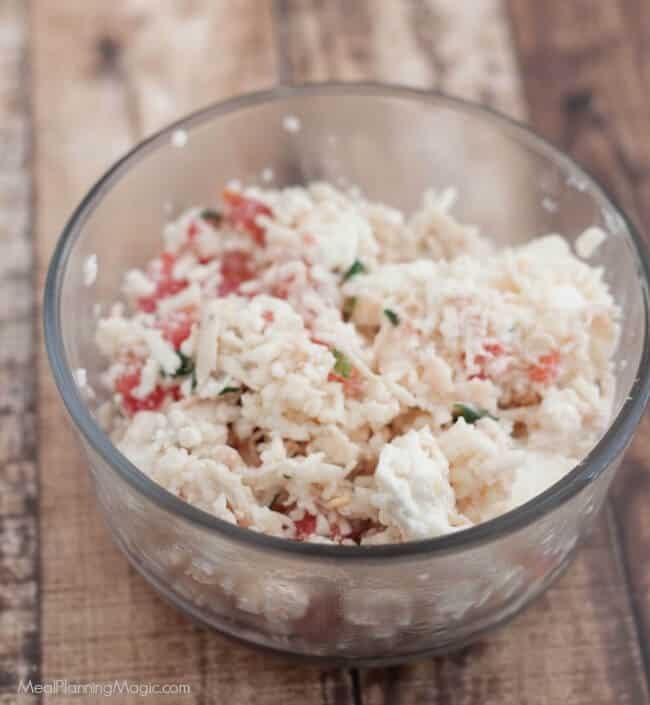 The simple, easy to find ingredients makes it a great one to try and the feta cheese flavor really pops. I also added a teaspoon of Greek seasoning to boost the flavor. This is totally optional. You can usually find Greek seasoning blend in the spice aisle of your grocery store. I like to purchase mine from Penzey’s Spices. If you want to go all out Mediterranean flavor, pair it with my Greek Orzo and Lentil Salad or Easy Fresh Mediterranean Salsa (both also make ahead) or any leafy green salad. Perfect for an easy dinner any time of the year! You can serve them with fresh cucumber and olives or buy or make a tzatziki sauce (yogurt, cucumber, dill) sauce to dip them in—delicious! In a large sauté pan, heat over medium heat. 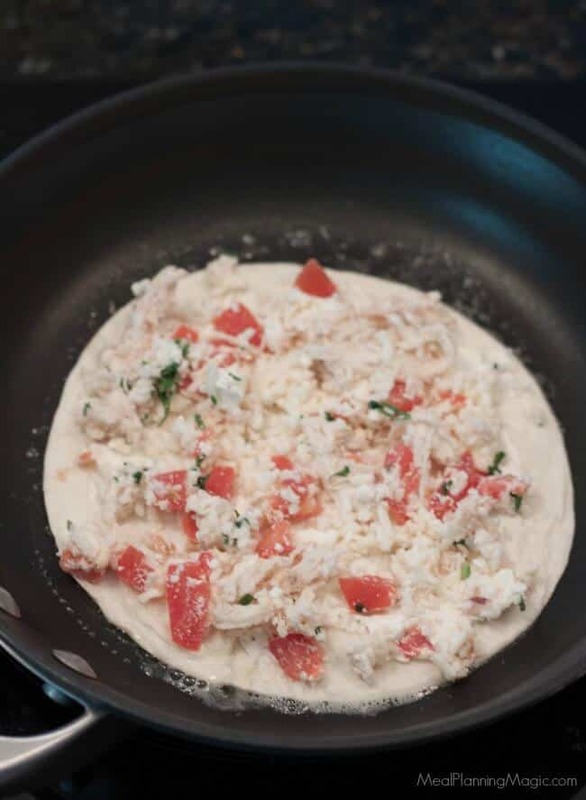 In a large bowl, combine cream cheese, garlic, tomatoes, chicken, mozzarella cheese, feta cheese and parsley. Set aside. On a cutting board, lay out tortillas and spread ½ tablespoon of butter on each tortilla. Take one buttered tortilla and place butter side down in pan. Working quickly, top with about 1/ 2 cup chicken mixture and spread evenly over tortilla. Top with another buttered tortilla, this time with the butter side facing up. Sauté the quesadilla in the pan and flip over once the first side is golden and crispy. Using a spatula, I like to push the tortilla down so that the heated mixture more evenly distributes itself around the tortilla. When both sides are golden and quesadilla is heated through, remove from pan and set aside on a plate. Repeat with remaining tortillas and chicken mixture. Cut quesadillas into wedges and serve with cucumber slices and olives if desired. The chicken, cheese, tomato filling may be made up to one day ahead and stored in the refrigerator. 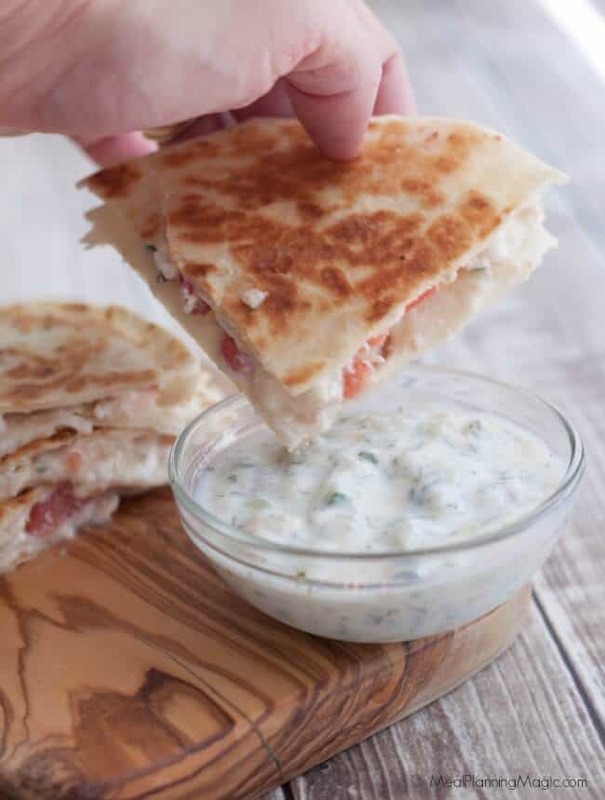 What are your favorite quesadilla fillings? I’d love to know what you think if you give these a try!